According to the National Business Group on Health, employers can anticipate an average participation rate of 28 percent from their employee base for an onsite fitness center. And yet, in the race to compete against rapidly rising healthcare costs, research continues to prove that getting employees moving and eating better can reduce absenteeism, increase executive function, and reduce key risk factors for cardiovascular disease and cancer. Moreover, having a fitness center at your campus can reduce absenteeism by 13 percent and turnover by 250 percent , a considerable impact on a company's employment brand and employee satisfaction. So what does it take to design and deliver a world-class fitness center at your company? Below we've outlined the five key insights to consider as you contemplate building a center or improving upon the one you already have. 1) The Power of Assessment: When it comes to data in the fitness space, the conversation often surrounds engagement-how many times employees come in a given time period. But data on outcomes is equally important-it allows you as a leader to understand what's working and what isn't, arms your employees with high-quality information about their health and fitness, and facilitates a personal interaction between the fitness center team and your employee, an important first step in encouraging employees to consider interacting more deeply with a wellness program. The data you collect and how you gather it should be a collaborative effort between your executive team and your wellness provider, because it's imperative that your data strategy intersects with a broader corporate platform and that everyone on your leadership team is clear on how success is defined and the roadmap it will take to get there. 2) Use Technology to Augment Your Data: New innovations in the fitness center space provide companies with more access than ever to data on their employees, but great technology can go beyond just data collection and can create a meaningful experience for your employees. For example, our Core Performance Energy Systems Development equipment (CPESD) takes world-class bikes from Keiser, ellipticals from Octane, and treadmills from Wooday and adds technology that personalizes workouts for each employee using their assessment data, gives them access to a challenge of the week, and allows them to share their workout on Facebook and Twitter. Technology should drive efficiency, engagement, and results in your center, ideally making working out easier and more fun for everyone in your company. Technology can also help your fitness center scale-one of our technology clients has a fitness center at their corporate headquarters but is still expanding to satellite offices, so our coach and nutritionist created and delivered seminars virtually, allowing employees globally to access the expertise and key findings from headquarters in a scalable manner. 3) Don't Be Confined By Four Walls: Your company's fitness should extend well beyond the four walls of your fitness center. Not only does this edict facilitate interactions with individuals in your company who might be too intimidated to join the gym (thus making them more likely to try it out down the line), but it also shows that wellness is a priority in your organization, not a luxury. Having a leadership meeting? Provide food and drinks that provide sustainable energy and bring a coach in to do five minutes of stretching to get your executives in the habit of moving and fueling at regular intervals during meetings or conference calls. Planning a reward for a big sales initiative? Include a complimentary training session or nutrition consult in the prizes. Thinking about an off-site? Ask your fitness center team to design an interactive module for your middle managers to get them thinking about how using the fitness center can improve productivity and reduce stress for their teams. Our team recently attended a health fair to showcase the CP Corner, an interactive station that allows employees to complete ten minute "no sweat" workouts in a conference room or hallway. A huge percentage of people (particularly engineers and folks working long hours in technology) said they simply don't feel they have the time or energy to work out during the day, but by replacing a vending machine run or surfing the internet with a ten minute no-sweat workout, you're rethinking how your employees interact with fitness, and that's a powerful message to send to your employee base. 4) Don't Nix Nutrition: The reality is that employees can make it through a day or a week without working out, but they need nutrition every day to fuel their performance. As a result, a truly integrated approach between nutrition and fitness is imperative to making your employees healthier. Food service integration, 1:1 and group nutrition counseling, nutrition webinars, healthy snacking stations, family nutrition strategies, cooking classes, and lunch and learns are just a few of the ways in which you can include nutrition into fitness center programs, but the bottom line is that employees decide hundreds of times each week how to shop for, prepare, select, and consume their food options. Influencing those decisions by encouraging them to adopt simple strategies to improve their nutrition can have a transformative impact not just on their health, but the health of their spouses and dependents as well. From hosting a healthy snack pit stop for warehouse employees to creating simple visuals for employees to easily select nutritious foods in your cafeteria, to ensuring that all of your meetings provide a progressive nutrition message and nourishing snacks, you can't have a truly impactful fitness center without some element of nutrition integration. Transforming how your employees hydrate, fuel, recover and shifting a culture that replaces the paradigm of changing the way you eat to lose weight to one of changing the way you eat to improve your energy and performance is a game-changer in the fitness center space. 5) Over-communicate: The right communications strategy can make or break your fitness center's impact-employees need to believe that the program is right for them, that it can work, and that they have management support to use the center and engage in fitness center offerings. As a result, you need a marketing and communications strategy that goes well beyond ribbon cutting and includes the right combination of social media, celebration of employee achievements in the health space, executive promotion of the program, content, and integration points into your employees' daily lives. For the launch of our own internal wellness program at Core Performance and Athletes' Performance, our HR Director worked with a collaborative group of leaders to develop a branded solution and rollout strategy that includes email communications, site-level meetings with every employee, an individual starter kit and goal-setting packet for every team member. The result? Every team member knows that health, vitality and sustainability is a priority at our company and receives a series of collective and individual communications to reinforce this message. 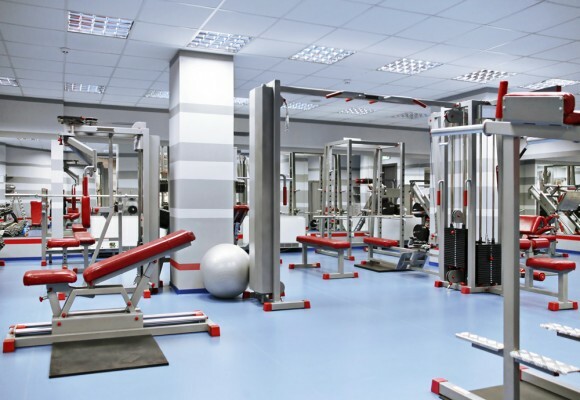 Fitness centers play an integral role in reducing turnover and absenteeism for leading-edge companies, but they are far from a one size fits all solution. Rather than thinking about costs and trying to eliminate line items, think instead more globally: what key needs will the center fulfill for my employees? What are the top health objectives we are trying to address by launching the center? What's my communications strategy to ensure that I get the buy-in I need to make the program successful? And how do I make sure the center isn't a four-wall solution, but rather an integrated initiative that minimizes the barriers employees face when it comes to moving more and eating better. Ensuring that your solution encompasses how employees address stress, fueling their families, and reducing aches and pains throughout the day creates a more holistic and lasting solution. Building a fitness center with those top-level questions in mind will help you build a truly innovative solution that transforms what's possible for your employee base and is far more compelling than simply "checking the box."